IT IS 16 YEARS OLD BUT DOES NOT LOOK LIKE IT INSIDE OR OUT. DRIVES LIKE NEW. SUPERB DRIVE. NO RUST AT ALL. NEW CLUTCH RECENTLY FITTED AND FULLY VALETED. I AM SURE THAT THE FIRST TO SEE WILL BUY AS ITS IN REALLY VERY GOOD CONDITION FOR ITS AGE. New listingBmw e34 518 drift ? PCO is not renewed but its possible to renew. Passenger airbags. Side airbags. Driver's airbags. Central locking. Power steering. 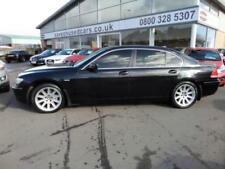 Bmw 520d se 2.0 diesel. Small dent on passenger rear door easily can be pulled out. AA Vehicle Inspection Report. BMW interior mats. Mileage will increase slightly as car is in use. The list goes on. 2 x remote keys. Auto lights and wipers. Nice clean car. Good tyres. Service history. BMW 520D SE. 2011 / 61 PLATE. This BMW is a genuine car with only 2 previous owners in fantastic condition, with no scratches or blemishes at all. A genuine well cared for car. FULL BMW SERVICE HISTORY. Excellent Car in good condition. Full Service history, MOT. Bluetooth, automatic closing boot lid, elec folding door mirrors, many extras as this is classed as a luxury model, 4 new tyres all round (2018). Service history, bodywork in excellent condition. This has been my personal car and has been very well looked after. 2008 BMW 520d(177 Hp)N47. 30 000 ml ago Clutch kit,Timing chain,new brake discs. Good set of Dunlop tyres with plenty of life left on them. Reconditioned ABS pump unit still on warranty(common fault on E60), oil and all filters,brake pads all round.Got all invoices to prove all work. The car runs very smoothly and is in good overall condition, it's certainly worth coming to have a look if you're after a decent example of this fine car. Full set of original keys, original tools and the original BMW glove box torch. 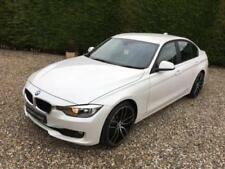 PROFESSIONAL SAT NAV, 1 OWNER, SERVICE HISTORY, SALOON. 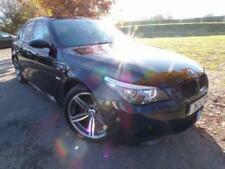 BMW 520D SE 4 DOOR DIESEL ,1 FORMER KEEPER,FULL SERVICE HISTORY !! 24 STAMPS !! LONG MOT,2 KEYS,6 SPEED ,BEAUTIFUL INSIDE&OUT !! 19" Genuine BMW M5 alloy wheels with good tires (£2000). The car is in great condition, it works as should and normal little scratches around due to his age but nothing major. - timing chain and clutch kit has been changed in 2017, approx 12k miles ago (£2000). 2012/13 62 Reg, BMW 5 Series 2.0 520d M Sport 4dr, Manual, 43.5k miles, Silver Saloon, Diesel, Two Previous Owners. Full Service History. MOT was in Feb and full Service has just been done and new front discs and breaks added, total cost was £700 spent. 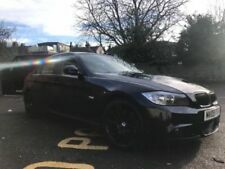 2013 BMW 520D M sport Blueperformance auto 184bhp. 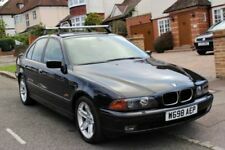 This car has full BMW main dealer service history untill 95000 miles. Prepped in house including - Service, MOT and new rear tyres.